Projector Whiteboard! 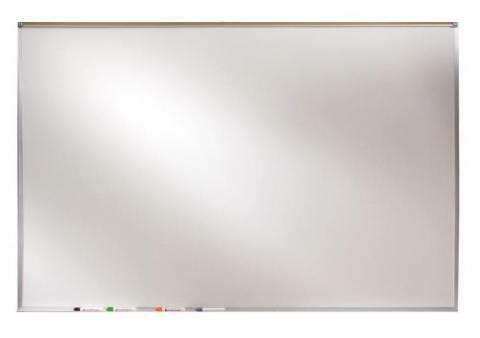 These whiteboards are constructed with a textured whiteboard surface that reduces projector glare by 70%. The magnetic porcelain enameled steel surface (50 year guarantee) doubles as a magnetic bulletin board. A full length accessory tray, 1" natural cork map rail, and marker (4) and eraser set are included.